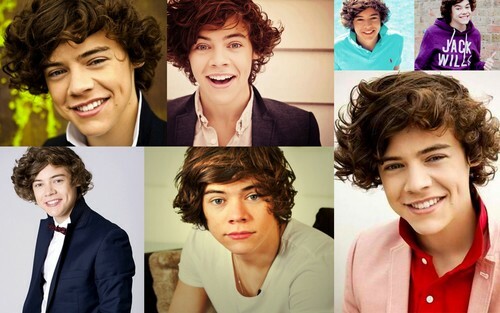 Harry Styles Collage. I arranged the 사진 myself.. HD Wallpaper and background images in the 해리 스타일스 club tagged: harry styles one direction 1d fan art ♥ cute picture photo wallpaper. This 해리 스타일스 wallpaper contains 초상화, 얼굴, 근접 촬영, 얼굴 만, 세로, and 헤드샷. You know what's creepy? Look at the picture in the upper left and the one in the lower right--his faces are almost identical!